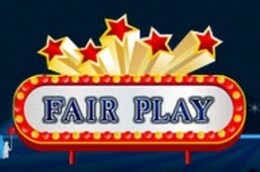 Fair Play is a 3 reel and 5 payline video slot powered by NeoGames software provider. This game has a fun and beautiful theme of a visit to the fair. Therefore, you will encounter features theme-related such as trained animals, jugglers and acrobats. Some of the main symbols are: a red car, a hotdog, a tombola tent, a horse and a merry go round.